Yesterday the latest edition of TaPalma was held, this time with an impressive crowd of around 600 spectators at the Palacio de Congresos. The participants had to prepare their creations before the judges which was made up of important characters from the world of gastronomy, like Igor Rodriguez, the Spanish champion of ‘pinchos’ and tapas 2017, and Antonio Barea, president of the Balearic Barmans Association, were some of the judges that featured. The participants battled it out in three categories: Tapa Temática (themed tapas) which was created with Quelys, The Best Cocktail and the Tapa TaPalma 2018. Tito Verger, the executive chef at Forn de Sant Joan, our restaurant in Palma de Mallorca, presents an authentic example of fusion cooking: the “Niguiri de paella” which won the third prize in the Tapa TaPalma 2018 category. An excellent tapa combined with the best flavours of the Mediterranean with international and avant-garde touches. 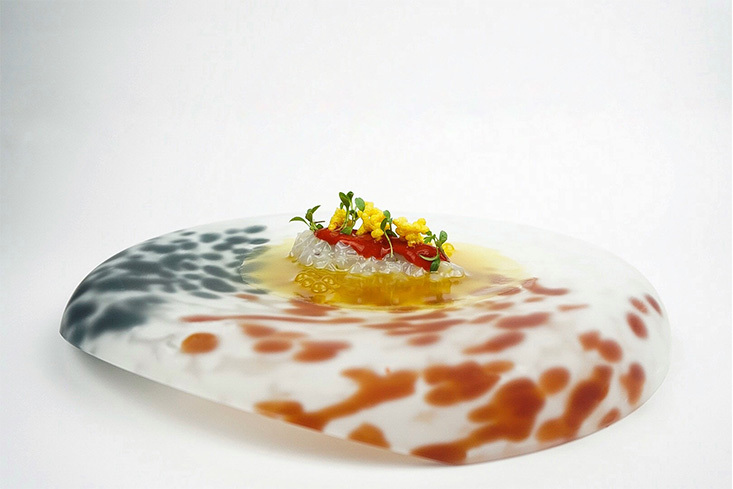 Tito Verger, who is described as a very creative person and who is inspired by his travels around the world to create his dishes, combined a squid tartar with a paella base and souffléd saffron rice. Textures and flavours from different cultures fused in a small and original dish which shined on its own and won over the most selective palates. 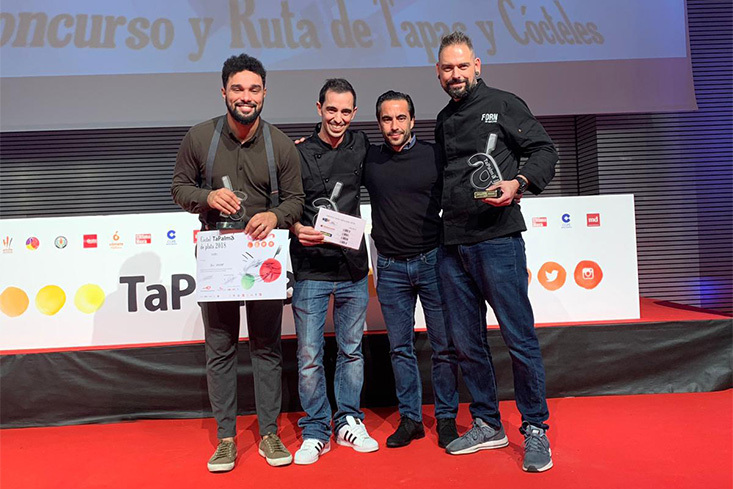 Also, we feel very proud and want to congratulate our sister restaurant OMBU for having won gold for the Tapa TaPalma and silver in the Best Cocktail category. We are so proud to have received this award. We want to thank the judges and all those who took part yesterday, and of course, to thank all of our loyal customers who we never want to stop surprising with our new creations, and also all of the team as without their daily hard work, this wouldn’t have been possible. 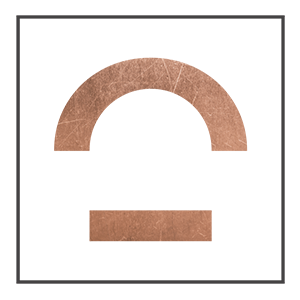 And last but not least, we want to say thank you to the founders, Joan Braqués and Rosa Meler, thanks to them we have been winning awards since 1992. The TaPalma route 2018, in which 41 establishments across the whole city participate, will take place from the 28th of November to the 2nd of December, and where you can also try our “Niguiri de paella” at the Forn de Sant Joan, our restaurant in Palma de Mallorca. Come and try the tapa which best summarises our culinary style! You won’t regret it!